WINNIPEG, MB., February 27, 2018 – The Manitoba Colleges Athletic Conference announced Wednesday that both Brett Foley and Matt Freisen from the Providence Pilots men’s volleyball team are co-male athletes of the week, and Chloe Orteza from the Red River College Rebels women’s volleyball team is the female athlete of the week. 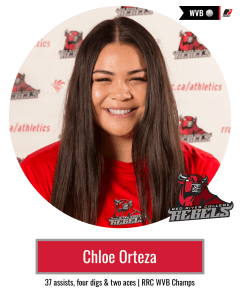 Congratulations to Chloe Orteza from the Red River College women’s volleyball team, who is the female athlete of the week. 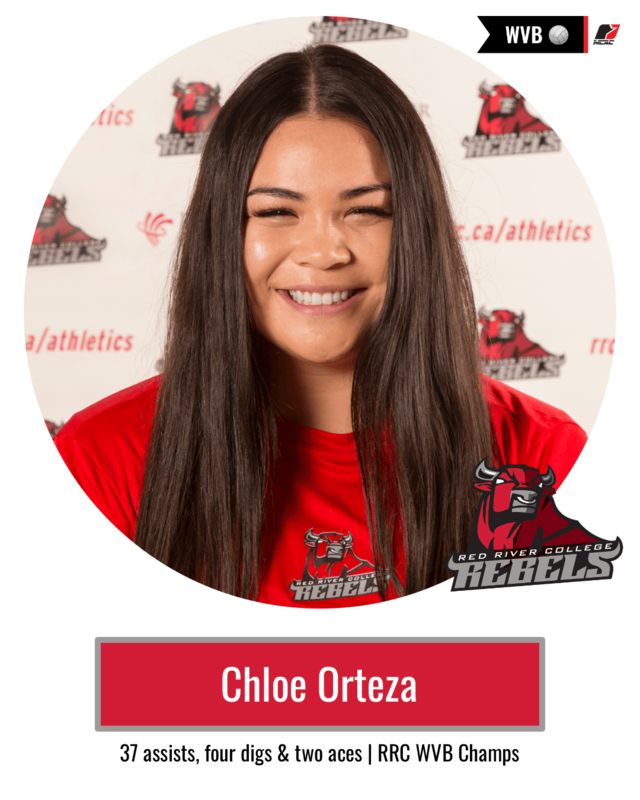 Orteza, second-year setter out of Ile des Chenes, MB, was a key piece in the Rebels thrilling run to the 2019 Women’s Volleyball Championship this weekend – the first ever in program history. She finished with 37 assists, four digs and a couple key aces in Sunday’s championship game. With the Rebels beginning the season without a designated setter, Orteza, originally an outside hitter, took on the challenge of becoming the team’s go-to setter down the stretch of the season. 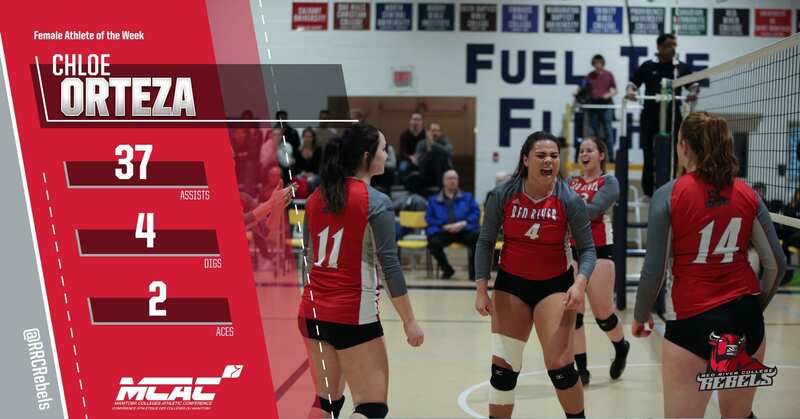 Rebels Win 2019 MCAC Women’s Volleyball Championship!